As the world has eagerly awaited in anticipation, the Duchess of Cambridge gave birth to a beautiful baby girl, Charlotte Elizabeth Diana on 2nd May 2015 and weighing 8ibs 3ozs. HRH Princess Charlotte of Cambridge becomes 4th in line to the thrown and the second child for the Duke and Duchess of Cambridge. This historic event can now be captured forever with a brand new proof sterling silver coin in celebration of the new Royal heir. 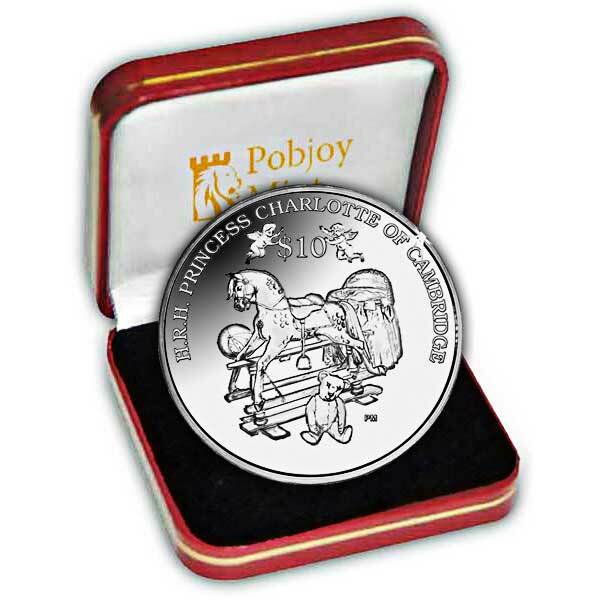 Approved by her Majesty the Queen Elizabeth II and the proud parents, this beautiful coin carries several images to present the birth of a new baby – a rocking horse, a baby’s crib, a teddy bear and a ball. The wording in the surround reads ‘HRH PRINCESS CHARLOTTE OF CAMBRIDGE’. Two Cherub Angels are also shown with the value of the coin. 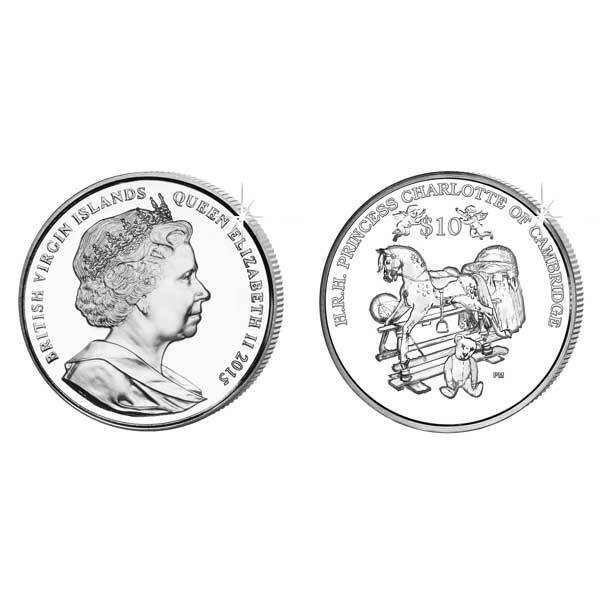 Available in Cupro Nickel and Proof Sterling Silver, the obverse of each coin features an effigy of Her Majesty Queen Elizabeth II by Ian Rank-Broadly FRBS. All coins are produced to the highest quality and the precious metal coins have been carefully struck four times and feature frosted sculpting against a mirror brilliant background.